Watch For Concrete Repairs At Two Locations in Lamar County. 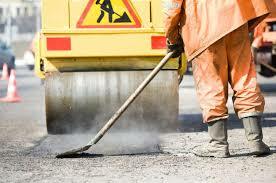 PARIS – Texas Department of Transportation officials announced that full-depth concrete pavement repairs will begin at two locations in Lamar County on April 9. Contractor Winding Road Construction Inc. was awarded an on-call maintenance contract valued at more than $1.5 million in 2017, and 2018. The planned repairs in Lamar County are valued at approximately $430,000, officials said. Contractor crews will remove damaged concrete pavement, and replace it with new concrete pavement. Teams set construction barricades April 8 and begin work the next day. Repair locations include the north side of State Loop 286, and State Highway 19/Church Street from FM 1507 (Jefferson Road) to just south of the intersection of Loop 286 and SH 19/24. The work will require temporary lane closures, officials said. The contractor anticipates one crew beginning work at Loop 286 and US 82 West and then working eastward. A second crew will perform repairs on State Highway 19/Church Street. These repairs could take as long as four to five weeks, weather permitting, officials said. Motorists who regularly travel in these areas of Lamar County are asked to pay special attention to all signs, barricades and traffic controls, and to reduce their speed as they approach and travel through work zones. They should also avoid distractions such as cell phones, eating, drinking, or car audio or navigation systems. For more information, contact Tim.McAlavy@txdot.gov or (903) 737-9213.